We are here to answer your questions and we realised that it might be useful for you to know how we tick or at least changed, or not? Well yes we are florists, but we blend technical ability with flowers with always being focused on how flowers solve your problems. That makes us think about emotions. So we find that as we listen more to clients, they tell us the real reasons why they buy flowers. Its always about the emotional connection. So we realised that, we take a psychology and love driven approach to our flowers because we see on a daily basis how it transforms people. That opens us up the why of why we love to give and receive flowers. Its about the magic of purposeful transformation being front and center as we create something with flowers that our clients enjoy. We have been thinking more about why we do what we do and found this great video by Simon Sinek who talks about why. We want to share that before we talk about why we do what we do this. We’ve seen success with this approach as it helps our customer think a little more deeply about themselves. The London Flower is all about you ‘Loving Flowers in a modern, creative practical way’. A form of technology. Inner technology. It’s all about feeling the difference that flowers make in peoples lives. Because of that, we end up dealing with what everyday people love the most. People, their business, their talents, their achievements, their families, themselves. We may be asked by a couple to create flowers for their daughters wedding to send out a clear message of pride and love, and then be asked to create reception flowers for a spa to create a feeling of peace and tranquility. Either way, we make a difference by listening closely and delivering. This blog has been fun as we reflect on the fact that we often get to hear about sensitive relationships and get asked about what they most want to say through flowers. We are very discrete as we consider that often love, either in terms of romance, admiration, appreciation, sympathy or some other expression of love comes up over and over again. Yes, we also talk about the traditional flower giving times, like weddings, birthdays and so on and offer tips, suggestions about them as a form of transformation. That’s the difference we make, bringing our listening ear, creativity and matching it to the transformation that our clients wants to say using flowers. 114 Responses to Do you want to understand the magic of Purposeful Transformation? yes that’s our approach to flowers! Love what you are doing Debroah – feel your passion and energy. i probably will not look at yopur blog very often as flowers are not my thing……..i do hawever have a greenhouse and do plenty veggies…….perhaps ill give some or other flowers a go….oh i have however done sunflowers……….. Thanks for the kind honesty, hey we love flowers! I love finding others who love flowers just as much as I do. I work at a flower shop and I never get tired of it. I find I am happiest surrounded by colour and beauty…and when I get a chance to share my love for flowers/plants with others. It makes me so happy to be able to be creative every day, and to be able to use my creativity to bring happiness to others!! Flowers mean so much to me!! This blog is great! something about flowers are enlightening ….oh .. It seems that flowers are destined to play a major part of your life, you have the ability to really inspire people as you make such a difference. Thanks for popping by, you really served us well. Just wanted to say thanks for liking my post Vintage Black Women. It looks like you love flowers like I love chocolate! Beautiful blog! Thanks so much for the follow! I look forward to stopping by again! Thank you for your kind words. Your blog really caught our eye, it really makes a difference to us here when we are looking for inspiration. We will always stop by. Delightful! YES, flowers are both signifiers and senders of joy–I’ll get great pleasure from visiting your blog, to be sure. Oh how your touching words make a difference, thank you and we are thrilled to share the inspiration of flowers that make a difference in the world. Loving flowers is the same as expressing gratitude to the Almighty! Your blog is beautiful and I am inspired to share a quote by The Buddha “If we could see the miracle of a single flower clearly, our whole life would change”. Thank you so much, we love building this blogs content . We feel love. We look forward to seeing you again. Thank you for visiting my blog and liking one of my poems. Wishing you a wonderful day full of flowers that blossom in every moment. Clarabelle. How on earth did you discover my blog page? But you have got me sussed – I absolutely love flowers! Everything except those nasty little white straggly-looking chrysanthemums that you get at petrol stations. Am no longer based in London, alas, but will visit your page for floral inspiration! Thank you for your kind words, it was exciting to find you. LOVE your blog! Thanks for liking my blog, now I know I am not alone in my words and way of looking at the world. Thanks so much for your business, the world needs it. We are brimming over with appreciation. Thank you for sharing your kind words. We love sharing this outlook that is naturally available to us all,which reflects us all. Your blog has a wonderful vision and we are really grateful that you also post on your blog so like minds can enjoy your work. You help us relax into happiness,thanks. Oh wow, thank you for sharing your comment, our intention is to help people to take their journey using the real and metaphorical flower. Thank you for your comment, we look forward to creating even more fulfilling posts for you. Love your flowers and thanks for visiting. Don’t be a stranger! That’s very touching. We love your blog too. thank you for the like…again……i see you guys have been having a right royal party the last couple of days….sat up late and watched the concert last night…it was great…i thought tom jones was the best…i liked that young ginger headed chap too………. What you have got here is quite beautiful, frankly i would not say i,m that fascinated by flowers, but, what i find fascinating is how you churn a beautiful art form and weave that into inspirational articles and a celebration of women and beauty…that is genius. I’m honoured that you like my post, and its fantastic that you helped me find this blog. Thank you very much. We love the honesty and we get it, there are many people who feel the same way, and we love that too. This journey has led us to explore how they reflect so much more for people in life. Like a brilliant backing singer, who sometimes sings lead. They are not always the main thing, but they accompany the best times in life. Thank you for popping by and we love your blog too. Thank you so much, we guess you are saying it’s necessary to keep the movement of life going and if you stop you are stopping yourself. So its important to open yourself up to new life. Thanks. Its about renewal and the energy to align with movement. Your site is great! And the presentation and arrangement of the flowers in your pictures is super! Oh thank you. We feel like we are talking to a kindred spirit. We really enjoy this work, like you yours… It’s like going into the treasure chest of imagination and getting the chance to share the jewels we find with you is blissful. Thank you for popping by. 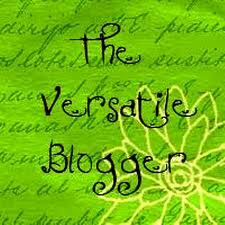 I have been busy learning how to navigate and read all the wonderful blogs on WordPress. I just wanted you to know, I am slowly exploring the London Flower, and enjoying my sojourn here. I enjoy meditative flower arranging. It is a wonderfully healing practice I give to myself often. Yes there is an abundance of tremendous talent on WordPress. We love, cherish and honour your comment about what we are able to offer. We thank you for your harmonious comment. Yes,Wordpress is a gift to the World as it helps so many of us to share our gifts,worldwide. We give thanks for being blessed with WordPress. You have a beautiful blog with amazing flowers – and roses! You are very engaged with your work to show the beauty of nature – I very appreciate it! Thank you so much for stopping by and liking my “Guided By My Heart”! Thanks for liking my recent post. Love your site. Oooh thank you, it was a delight to find you too. Our pleasure, your writings are brilliant! Just dropping you a note to say …Thanks for stopping by my site. We love the way you encourage, empower and layer all your comments with peace. We always open up to your life affirming support. That’s our short way of saying thanks! Hey London Flower Lover! Thanks for stopping by! It’s funny I never thought about the flower business as dealing with what people love most but it’s so true! The love is what drives our hearts to choose those flowers that we share with others and create to delight others. That’s why they can be so powerful. Thanks for sharing. Thank you for such an uplifting response. The work you do reminds us of the power we ll have to give and receive love, peace and joy using our given talents. Especially when we are facing adversity. Thank you. We enjoy using flowers as a beacon of light for ourselves and others. Thank you for being in the world and allowing your talents to be n expression of what matters. Thank you so much for sharing, sharing, sharing. Oh wow, thank you for the kind recognition. Much of our accomplishments are inspired by others. So this award, belongs to us all really.Our team, our many supporters, our readers, our community. It’s a win win for us all. I thought it would be fun to visit it each person who follows my blog and wish you a Happy New Year. 😀 I feel better just looking at the flowers but your words bring a doubly dose of love and inspiration. A happy New Year to you too. We love creating the compositions of words and pictures to convey a message of peace and joy, using flowers as a wonderful vehicle. Thank you for popping by and we look forward to you coming back again. Oh by the way, we love what you do tooooooooooo.! I have read some of your articles, which are written nicely, and with great emotion and meaning. Thanks as well for your visit and for following Splendid Recipes and More. I look forward to more from The London Flower Lover. Hey Randy, gosh we feel your geninue comment. You remind us of the infinite love and gratitude for living with intention, using flowers to express the power of the love in our hearts. Thank you for getting what we are doing here. Oooohhhhhhhhhh we so receive what you are sharing…. You have moved us to thank you deeply….so here goes…. Chest uplifted, head upwards, arms stretched out, smiling from ear to ear, we welcome feeling the infinite universe of love in our hearts. This includes the force of beauty that we receive from flowers, as they reminds us of emotions, the energy of receiving love, appreciation, peace and passion. Expressing emotions with an understanding of who we really are always leaves us refreshed. And sometimes receiving them from someone who remembers who we are when we forget our true selves is what keeps us fuelled in love. Yes, many of us re embrace the feeling that. Receiving that empowering love can also allow us to process our own range of emotions. Flowers therefore can act almost as a lifeline when we are reminded that we can processes our emotions. Flowers can help us to give ourselves permission to tune into more of the infinite space within our conscious spirits, where we see ourselves shine in ways we are made to and destined to. Flowers can then really help shift emotional patterns and therefore become a form of coaching which helps us to transform and evolve. Thank you for enjoying what we do with flowers. It’s our infinite pleasure to receive you and. Yes we are smiling from ear to ear….thank you again for popping by and expressing your gratitude. Hello! So glad you enjoyed my Clockwork post. Your blog is fascinating! I learn so much here. Oh wow, we learn so much from you too. Many thanks for popping by and sharing. Thanks for stopping by my blog and “liking” today’s post. Love flowers so your site is like eye candy for me. Wow! what a surprise! I thought I would never hear back from you, but strangely, this bright sunny day, there’s a message from you (Deborah??) I will certainly come back again, and hopefully you will too! Thanks for stopping by my blog! Recently I have found flowers comforting. My husband buys me flowers often and when they wither I don’t throw them away, I gently take out the petals and I have a special bowl for them. Comforts me looking at them even in their withered state. Joyezeka….what a beautiful bowl of love that houses his infinite love for you. Thank you for sharing this beautiful intimate moment you both tenderly have cultivated. You help us to go beyond and far into bringing forth this essential gift of open communication of love for each other…he is fluent in his value of you….and it comforts you and us all….totally beautiful…thank you for sharing this! You just put a wide big huge smile on my face with your comment ! The rules for accepting the award can be found there. Oh wow, we are so happy to be able to accept this award. Its really great to be able to embrace the contractions of life using the beauty of flowers as a practical metaphor. Thank you for the nomination. We are happy to accept. Hi! Thank you so much for following 🙂 a very charming blog you have. Have a good day. Thank you. We just hope to serve. Thank you for your kindness.